When it comes to your credit score, there are five basic factors that matter: credit payment history; credit balances; ages of credit accounts; new credit inquiries; and types of credit accounts. Notice a trend here? Credit. Credit. Credit. Nowhere in your credit score does it reflect whether you’ve kept a healthy checking account balance, nor how many prepaid debit cards you own, how often you overdraw your account or the last time you contributed to savings. 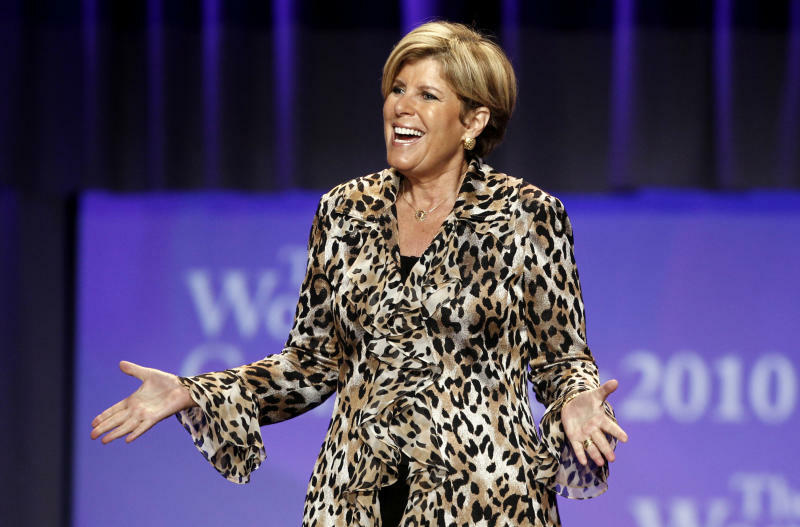 If personal-finance personality Suze Orman has her way, that could all change. Orman launched a Change.org petition in January asking Congress (specifically Sen. Elizabeth Warren, who is a longtime consumer finance advocate) to make banks turn over non-credit banking history to credit bureaus. She makes a compelling argument and her petition has so far attracted support from more than 175,000 people. Even we have to admit it all sounds great … on paper, anyway. Credit scores exist to help lenders decide who’s most likely to be a trustworthy customer, and as of yet, there’s no proof out there that debit transactions indicate creditworthiness in consumers. For starters, you’re not using the bank’s money when you swipe your check card. It’s your money. Who are they to judge whether you’re spending it the right way or not? Hypothetically speaking, if consumers were given better credit scores based on their debit card use, it goes without saying they could be docked points just as easily. It’s bad enough consumers shell out more than $200 a year for overdraft penalties. Imagine taking a hit to your credit score every time you accidentally cashed a check too soon or miscounted your bank account balance, as 28% of consumers did in 2013. It’s well understood you can lose credit score points by closing credit accounts. It’s safe to assume consumers would also be penalized for closing or switching bank accounts, which 12% of consumers did in 2013. Banks themselves closed 30 million checking accounts between 2000 and 2005, according to a 2008 Harvard Business School report. And what about the 10 million American households that don’t even have a checking account? Would their credit scores suffer the same as people who own too few credit cards? As it stands, the credit reporting system is 100% voluntary, Ulzheimer points out. That means companies can decide whether or not to report customer credit activity on their own. If banks and prepaid debit card companies were suddenly obligated to report checking transactions to credit bureaus, eventually that extra cost would trickle down to consumers. Prepaid debit cards are something of a controversial financial tool, given they often are laden with monthly charges and fees. Orman herself is one of many celebrities to lend their faces to such cards, marketing them as a useful budgeting tool for consumers weary of high-interest credit cards, or kids too young to own a checking account of their own. But more often than not, they can wind up costing consumers even more than a regular checking or credit account. Some, such as the Pink Diamond RushCard, charge up to $10 a month just for the luxury of holding the card, while most charge at least a couple of bucks for ATM withdrawals and reloading fees — both of which you can do for free with a regular bank account. Even if prepaid debit card issuers were to start reporting transaction history to credit bureaus, there are still few justifiable reasons to own one. Says Ulzheimer: “Pretending like the world would be a better place just because prepaid debit cards could be reported to the credit bureaus ignores their larger downside, which is that they're horrible products heavily marketed to young people and minorities." While we agree credit reporting agencies have a long way to go in the realm of consumer-friendliness, we think their resources could be much better spent elsewhere (for starters, figuring out how 42 million errors wound up on credit reports last year). Even if lawmakers back a plan to include debit transactions in credit reporting, credit reporting agencies aren't going to simply roll over and play ball until debit history can be proven to indicate credit worthiness. That, after all, is what a credit score is supposed to indicate in the first place. In the meantime, there are many proven ways you can improve your score without having to picket on Capitol Hill. Start by making on-time payments, tackling high-interest credit card debt above all others, and keeping your card balances under 10%. Prefer to ditch credit altogether? It's possible to limit your credit use and still build up your score. Your on-time student loan and mortgage payments both count toward your credit score. You can also research alternative ways to boost your credit, such as taking out a secured credit card or a credit-builder loan through your local bank or credit union, or by keeping track of on-time rent payments. Will debit card reporting be one of those ways someday? Time will tell. But we wouldn't bank on it.